“With public debt at over 90 percent of GDP, large refinancing needs and low reserve buffers, a prudent policy mix is necessary. Sustaining the fiscal consolidation effort and reform momentum is key to maintaining market confidence,” the IMF’s Mission Chief for Sri Lanka reportedly said in the immediate aftermath of Budget 2019. 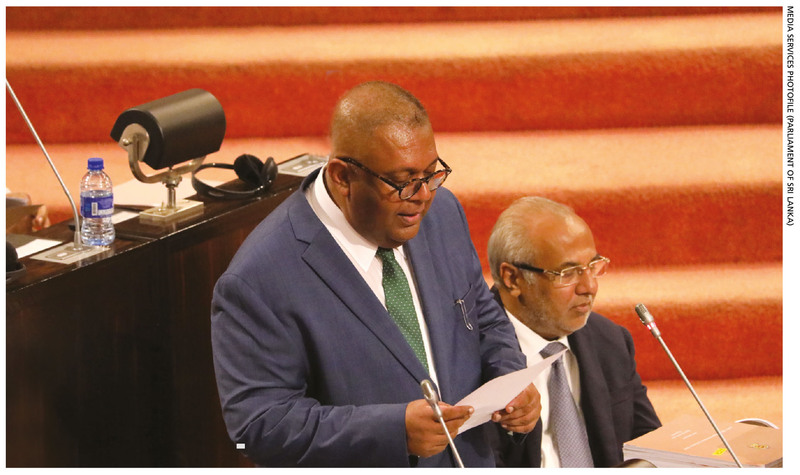 Indeed, pronouncements such as this are significant given the signals they send to both lenders and investors – especially in the light of Sri Lanka’s fluctuating fortunes in meeting its foreign direct investment (FDI) targets. And there’s no question that the budget was people and public sector friendly, with salary hikes, higher pensions, tax cuts and other benefits being laid on the table as it were – we’re well into an election year, let’s not forget. The other side of the coin however, isn’t as clean so to speak – especially given what many analysts say are overambitious revenue targets coupled with higher expenditure to pay for the goodies on offer, which means that the government’s forecast budget deficit of 3.5 percent of GDP could well be pie in the sky. There’s also the spectre of the spiralling cost of living, which is perpetuated by the tax and duty hikes announced before and after the 5 March budget presentation – for some reason, this has become common practice in this country. Chief among them is the direction in which the dreaded fuel pricing formula has headed in recent times because when the price of diesel and petrol is increased, the poor struggle to maintain even their hand-to-mouth existence. Which perhaps is why poverty has leapt to the top of burning issues in the eyes of the business community with nearly one in two citing it as the most pressing national concern today (for more on this, go to Burning Issues). Implementation has been a perennial bugbear because meeting promises that are made in the annual fiscal pronouncement has become a tough ask in recent years. To say the least, the government’s track record has been abysmal, so much so that the sceptics among us wonder why we bother with all the hype surrounding budgets in this country. On the other hand, the critics will say that ‘governance by committee’ hasn’t worked in Sri Lanka and this fact of life goes beyond matters that are fiscal. There’s also the question of underperforming state entities that aren’t making the most of their assets with the national airline being a prime example of mismanagement and ongoing strife. In the big picture scheme of things, there’s a lack of resolve and urgency when it comes to the public sector perhaps because the political will to resort to unpopular measures to turn it around simply isn’t there… even if they would be in the interest of the nation.